9.5" x 6.5" stitched on 14 count. 7.4" x 5.1" stitched on 18 count. 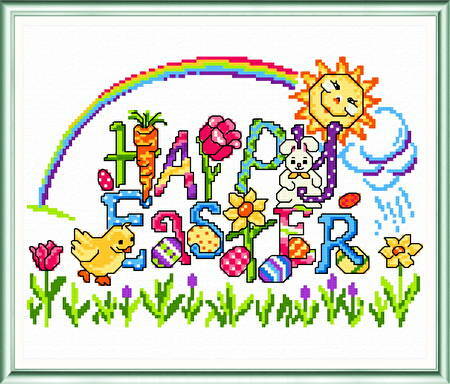 Happy Easter Greeting cross stitch pattern... Cute and colorful Easter Greeting.